There are many components that go into building a proper HVAC system. Also, HVAC is heating, ventilation, and air conditioning, temperature control for a room or building or refrigerated area. HVAC systems are used in commercial settings, residential, and even trailers. One of the best HVAC system manufacturers Michigan is Tridan International. Let us rephrase that a little bit, Tridan provides the equipment you need to build proper HVAC systems. 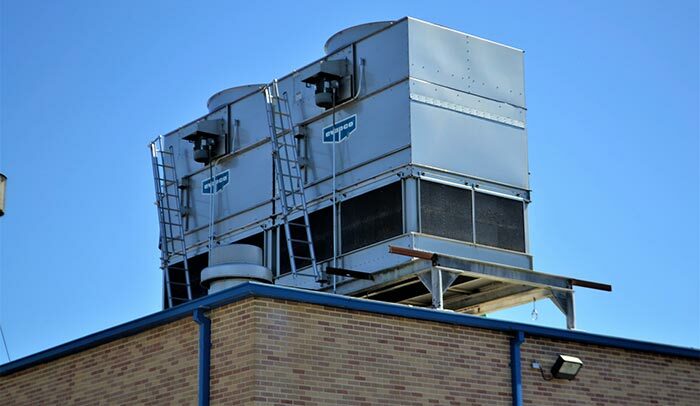 At Tridan, they have been supplying equipment to HVAC manufacturers in Michigan and all over the Midwest for well over 50 years. A proper air conditioning unit cools and dehumidifies the air as it goes through a cold coil. On the inside part of the system, the coil an air to a liquid heat exchanger. The liquid is passed through rows of tubes inside the coil. This creates a g warm gas when air meets the cold tubes full of coolant. Then the gas is pumped out the system. FOr your HVAC systems, you need equipment that can produce the proper parts such as the equipment from Tridan. A good HVAC system needs proper fins. At Tridan we have an extensive line of fin production machines that can handle any job load. In addition to fin production, we also carry machines that can handle complete tube fabrication. Our tube fabrication machines have return benders, elbow-bender and all types of benders. Are you looking for a machine that can handle coil expansion? We have vertical, horizontal and semi-portable machines to choose from. We also offer a Micro Channel Tube Processing Machine used for cutting aluminum microchannel tubing to length. As you can see we have a large inventory of machines to help you build your next HVAC system. In addition, we have supplied machines to Michigan, Illinois, Indiana and all over the midwest. Give us a call today at 217-443-3592 or contact us today!